1. 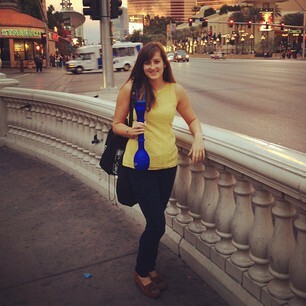 Enjoying my first extra large pina colada on the strip in Vegas! 2. 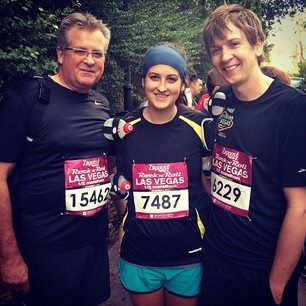 Las Vegas Half Marathon! So glad that both N and my dad decided to join me. It was an incredible run! Check one off the bucket list! 3. Getting dressed up, drinking margharitas, and celebrating finishing our Half Marathons in Vegas! 4. 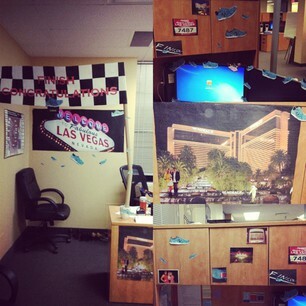 My coworkers decorated my desk for my return from Vegas. 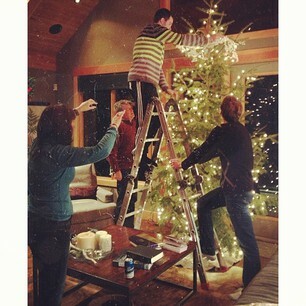 It is still decorated. It’s too awesome to take down. 5. We had a great time at my Company Christmas Party. Heather, Zevi, N, and I looking pretty beautiful. 6. 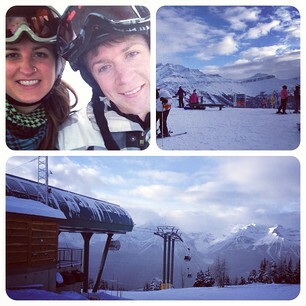 First ski date of the season at Lake Louise. N is the best ski buddy! 7. 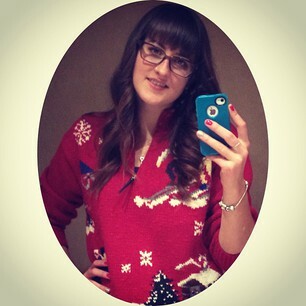 Christmas Sweaters for a party night in Banff! 9. Christmas Day 5 km Run with N and my dad! It’s my Christmas Tradition.